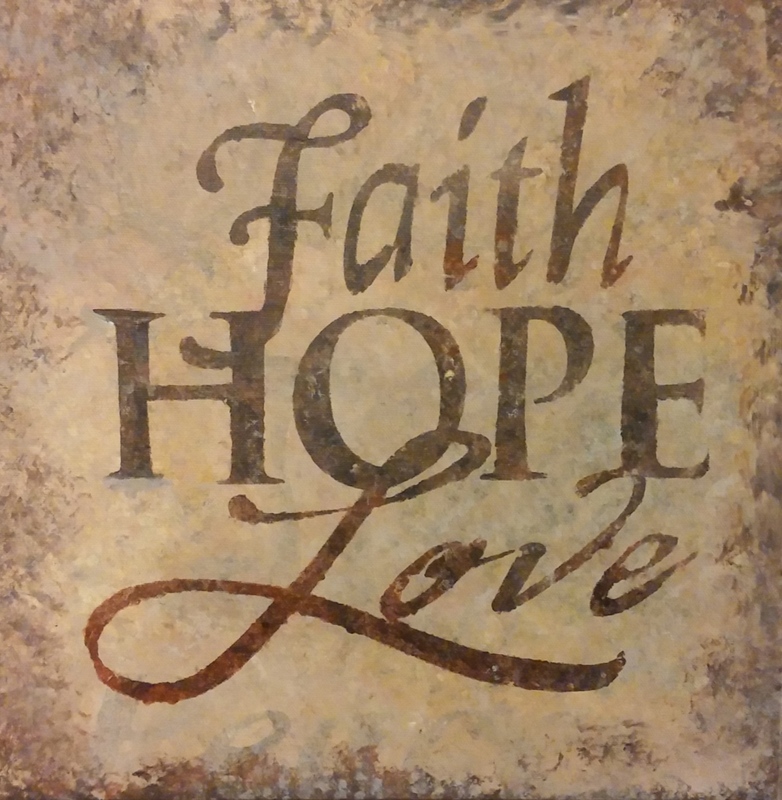 Blog Word Art "Faith Hope Love"
Paint a fabulous faux finish background. Then use our stencils to use the words FAITH, HOPE, LOVE. Done on a 12×12 canvas.